No matter what size your team or what sport they play, nothing brings your fans together like a great color logo design. And while you probably already have some idea of what that’s going to be, the most important thing you can figure out is the color. Studies show that color logos are 80% easier to identify immediately than plain black and white ones. Sports logos emphasize not just trust in a brand name but a sense of community. Here are some tips for a great color sports logo. Your team’s name has probably already been determined and is going to have a big influence on your color logo design — but it doesn’t have to be the be-all-and-end-all of it. These days, logos for sports teams are stylized to look like company logos, so you want something simple, sleek, and stylish. Chances are your team’s named after an animal; you may want to use its colors in your logo, but you’re not tied down to it. Ultimately, you’re trying to design something that looks good on a helmet and a sweatshirt, so keep that in mind. 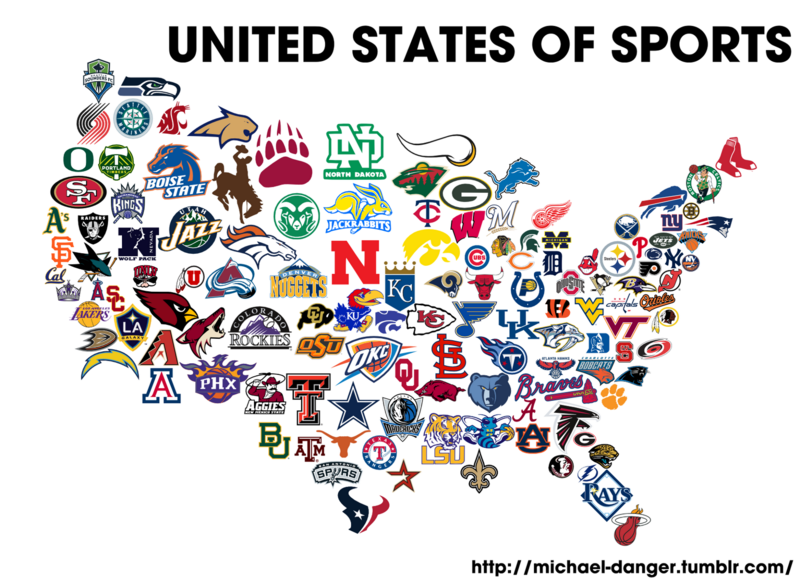 The area that your team is from will have a lot to do with your logo. There are lots of sports teams called Lions, Tigers, or Bears, but your logo has to look unique. What defines your city or school? What do most of your city’s residents do for a living? What do they believe in? These questions will help you come up with an identity. An architectural feature, a shared tradition, or cultural background can be worked in, if it’s simple enough. But it has to be immediately recognizable to everyone. Blue is the favorite of company logos and sports teams, it’s bold but not overpowering, comes in lots of shades with different meanings, and signifies strength and teamwork. Red can be a little gimmicky, but it signifies passion and intensity. You’ll need to go with a brighter color than you would otherwise, which may not look great on a uniform. Black always works well, especially when instilling fear in your opponents, but you’ll need to come up with a strong secondary color to offset it. Orange is a big favorite in sports, because it’s bright and energetic; fans will know when you’re on the field! Yellow, Green, and Purple are not great unless they hold a special meaning. Yellow is too bright and warm, green too comforting, and purple too mysterious. Secondary Colors are necessary to make your uniform pop. Your best bet is to go with a variation of the primary color (black and silver) or a complementary primary color (some variation of blue and red is always popular). Why Not Start Making Your Color Logo Design Now? Designing a logo doesn’t have to be difficult. With the tools on this site, you can easily put one together in no time, and with colors that will look great and also signify your pride and sense of community. Why not create your sports logo today while you’re thinking about it? Those ideas popping in your head right now may be just the ones you’re looking for!